Semi-auto machines can be a bit daunting to the new coffee consumer. 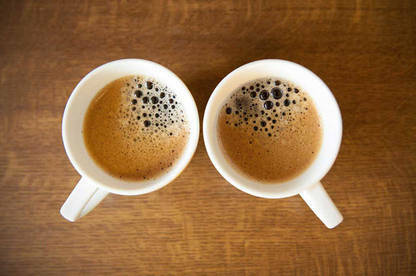 So here's our top tips on use, crema and frothing, to brew the best coffee you can. To remove factory flavours, flush a litre of water through a new machine and push a cup of hot water through the steam wand. A standard espresso shot is 7g of coffee in 30ml of water – you can amp this up by adding more coffee or reducing the water. Use fresh water only. Discard any water that's been sitting in the tank for a few days. The best temperature for brewing is around 91-92°C. Too hot and the coffee can have a bitter flavour. Too cold and the coffee could be under-extracted, leaving you with a watery coffee lacking in flavour. Warm up the cups by leaving them on the cup warmer (if there is one) or running hot water into them. Froth milk immediately after making an espresso (don’t let the coffee cool). Aim for small creamy bubbles. Banging the jug on a table and swirling it around several times will remove the larger bubbles. After frothing milk, clean the nozzle with a sponge that’s not used for anything else. Run a small amount of water to cool the internal parts of the machine (otherwise the extra heat can burn the grind of the next cup of coffee). 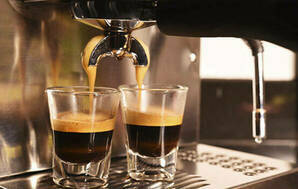 If you want a "long black", add an espresso shot to hot water rather than extracting it for a long time. Over-extraction causes bitterness. Drink the espresso within a few minutes of it being made. Some handy hints to making the perfect coffee at home. There are 2 main varieties of coffee beans: Arabica and Robusta. Arabica beans generally make a higher-quality coffee. A true espresso is made from darkly roasted and finely ground beans. It’s sometimes called “Italian style”. But this can be misleading, as some coffee using this label is not dark or ground finely enough. If you’re using a manual or semi-automatic espresso machine, you may want to buy your own grinder. Avoid cheaper grinders that won’t let you control the fineness. A decent burr-type grinder will give you the right fineness and control. For best results grind your beans just before making the coffee. Keep your beans fresh by buying in small quantities from a store that has a high turnover (use beans roasted no more than 10 days ago). Keep them in an airtight container somewhere cool, dry and dark. Don’t refrigerate or freeze them. If you like milky coffee, use fresh homogenised milk. Full-fat milk produces the best quality froth. Low-fat milk will produce more froth – but it tends to separate more quickly. Invest in a thermometer that fits inside the frothing jug. Milk should be around 65-70°C. Any hotter and it will burn. 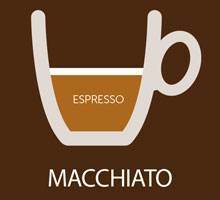 Espresso has a creamy, pale, golden froth on top of the dark brown coffee. 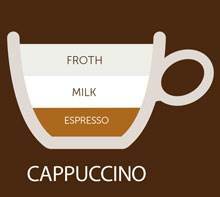 It’s called the crema, and it’s perhaps the most important thing that distinguishes espresso from other types of coffee. Crema is actually caramel. The high temperature and pressure in an espresso machine caramelise the sugar naturally present in coffee, aerate it and expel it with the espresso. Perfect crema should be thick and stable, and preserve the coffee flavour, aroma and temperature. The state of the crema can help you diagnose where your espresso-making may be going wrong. If it’s light, inconsistent, thin and dissipates quickly, the coffee has been under-extracted. It was probably too coarsely ground or the water temperature was too low. If it’s dark and has a hole in the middle, there’s either too much coffee in the filter basket or the coffee was compressed into the filter basket (a process known as tamping) too firmly. If it’s white with big bubbles, the coffee was probably over-extracted because the hot water was passed through the filter for too long. If you still can’t get good crema, check whether the coffee chamber is dirty. Use fresh, homogenised milk. Full-fat milk produces the best quality froth. Low-fat milk will produce more froth – but it tends to separate more quickly. Use a stainless steel jug, half full of milk straight from the fridge. Turn on the steam and purge any water from the wand. Stop and put the wand into the milk just below the surface. Angle the jug and turn the steam on to full. Move the jug around to create a whirlpool effect, keeping the nozzle just under the milk level and well under the foam as it develops. When the foam has risen to almost twice the original milk level, drop the nozzle down to heat the milk. Keep heating until the jug is almost too hot to touch. The froth should be a creamy froth where the bubbles are so tiny that they can’t be seen, and the surface should look shiny, almost glasslike. After frothing the milk, bang the jug on the table to remove larger bubbles from the froth, swirl it around a few times, bang it again and pour it on the top of the coffee straight away. The milk and froth should be poured out of the jug on to the crema – you shouldn’t have to spoon it out. 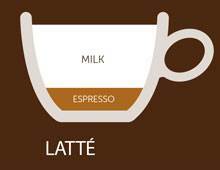 Here are the proportions of espresso to milk for 3 classic coffees, and 2 recipes for a smaller cup or glass. All require a double-shot of espresso. Steamed milk sits in the jug in layers: the most finely-textured milk is at the bottom whereas heavier textures are towards the top. 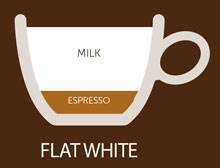 The quality of flat whites, cappuccinos and lattes is often determined by the blend (or separation) of these textures. Espresso with less milk than a latte, and little froth. 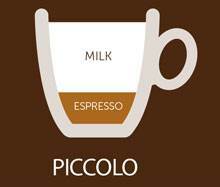 Espresso with a mix of finely-textured and frothy milk. A mini-latte, served in a 100ml glass or cup. Espresso with the tiniest "mark" of milk. With so many designs, features and technologies on offer, there’s heaps to consider when choosing an espresso machine. 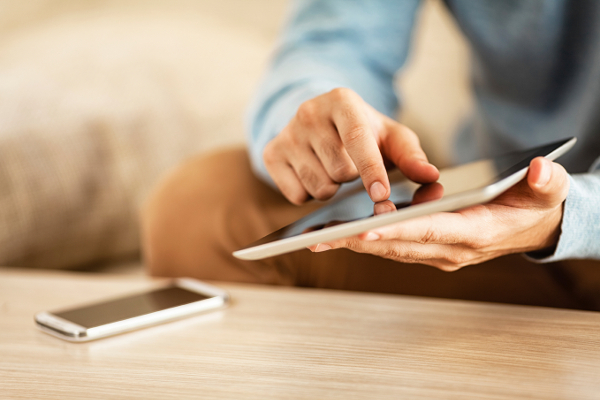 We’ve tested 33 models and explain what to look for.